May 25, 2017, 11:04 a.m.
By Ricardo Bilton @rbilton May 25, 2017, 11:04 a.m. The project wasn’t a one-off for Gizmodo Media Group. Earlier this month, the team targeted 15 people both inside and outside the Trump administration with an email and landing page designed to see how easily they would submit their Google credentials to real phishers. None were entirely fooled, but some, including Newt Gingrich and former FBI director James Comey, were convinced enough that they replied to the emails. Both projects are a product of the Gizmodo Media Group Special Projects Desk, an eight-person investigative unit focused on long-term, in-depth reporting into the inner workings of groups in media, entertainment, and, yes, the Trump administration. (It’s known internally as the Flashlight Team.) While investigative units are nothing new within news organizations, what’s set the Special Projects Desk apart so far are efforts like its security test and phishing scheme, which are designed around the idea that there’s room for investigative projects that push the envelope beyond what many organizations might be comfortable with. The Special Projects Desk is unique among Gizmodo Media Group properties in that it doesn’t have its own website, editorial voice, or audience. Instead, the group produces projects on behalf of the other GMG sites. In some cases, the ideas have started with the unit itself; in others, reporters have come to the Special Projects Desk to ask for reporting advice or resources. Since its launch in January, the group has produced stories for The Slot, Gizmodo, Jezebel, and Fusion. It’s also used its role as a hub of investigative reporting expertise to invite the Freedom of the Press Foundation to give a presentation about security training and source protection. “We see ourselves as a resource of the whole organization,” Cook said. The more stuntlike elements of Special Projects Desk’s approach have plenty of historical antecedents in journalism. In 1978, for example, the Chicago Sun-Times created The Mirage, a seedy tavern a few blocks north of the Chicago River, as the centerpiece to the paper’s investigation into widespread claims of corrupt city inspectors shaking down Chicago businesses. In an effort to catch these officials in the act, the newspaper staffed the bar with reporters and hid cameras in the walls. In 1990, Spy Magazine mailed 58 wealthy Americans checks for $1.11, and later, $0.64 and $0.13, to see how many would cash them (Donald Trump was, famously, one of the recipients who did). And then there’s Nellie Bly, the reporter who in 1887 feigned insanity so she could be committed to a New York City insane asylum. Cook says he admires reporting “where you’re not simply asking people questions but doing something in the world and seeing what happens.” But he’s also committed to the idea that reporters themselves can put the claims of politicians and other powerful people to the test. This was the driving idea behind, in particular, the phishing project, which was designed to test Trump’s claims about his team’s security. The Special Projects Desk has been particularly Trump-heavy so far, but that isn’t by design: Like most, the group didn’t expect Donald Trump to win the 2016 election, and the president and his team has so far has taken an outsize share of reporters’ attention. The Special Projects Desk wants to change that, particularly by focusing on seats of power like Silicon Valley. “We’ve been very Trump-heavy because that’s where the action is, but there are many other areas of concern that investigative reporting can shine a light on,” Cook said. POSTED May 25, 2017, 11:04 a.m.
Bilton, Ricardo. "With its Special Projects Desk, Univision is keeping Gawker’s spirit alive at Gizmodo Media Group." Nieman Journalism Lab. Nieman Foundation for Journalism at Harvard, 25 May. 2017. Web. 20 Apr. 2019. Bilton, Ricardo. "With its Special Projects Desk, Univision is keeping Gawker’s spirit alive at Gizmodo Media Group." Nieman Journalism Lab. Last modified May 25, 2017. 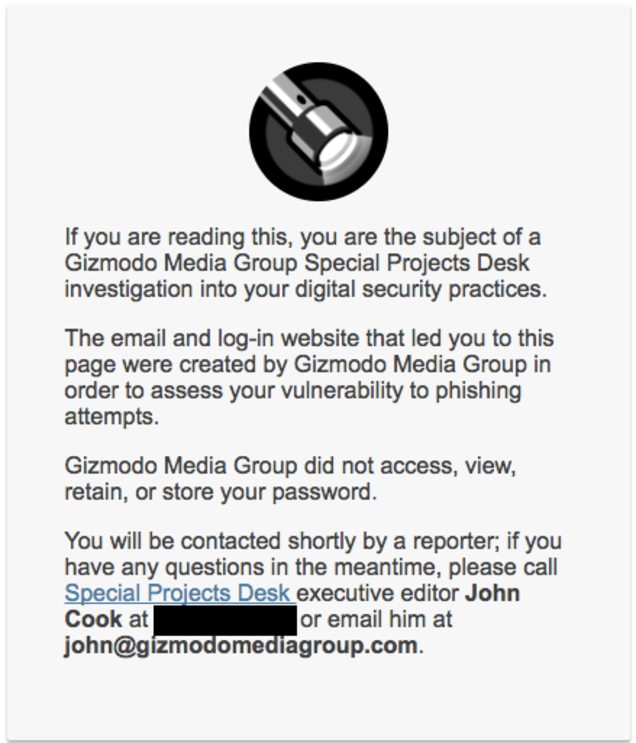 Accessed April 20, 2019. https://www.niemanlab.org/2017/05/with-its-special-projects-desk-univision-is-keeping-gawkers-spirit-alive-at-gizmodo-media-group/.